I've been making a lot of progress as these screenshots illustrate, including the ability to detect 100% accurately the modules that are enabled on your server. Big deal! you might say... "How does knowing the modules help?" Well it just so happens that in addition to detecting which modules are loaded on your server, this plugin will also detect which Directives are enabled for each module that are allowed to be used from within your .htaccess file! Future release will provide the ability to explore the different .htaccess directives allowed by your server, so you can do all sorts of cool Apache .htaccess tricks to secure your blog and make it run better. Future releases of this plugin will also let you search for non-default modules, wild, beta, and others. The original plugin page and description can be found here. To make a long story short, I downloaded each major release of the apache httpd source code from version 1.3.0 to version 2.2.10, then I configured and compiled each for a custom HTTPD installation built from source. 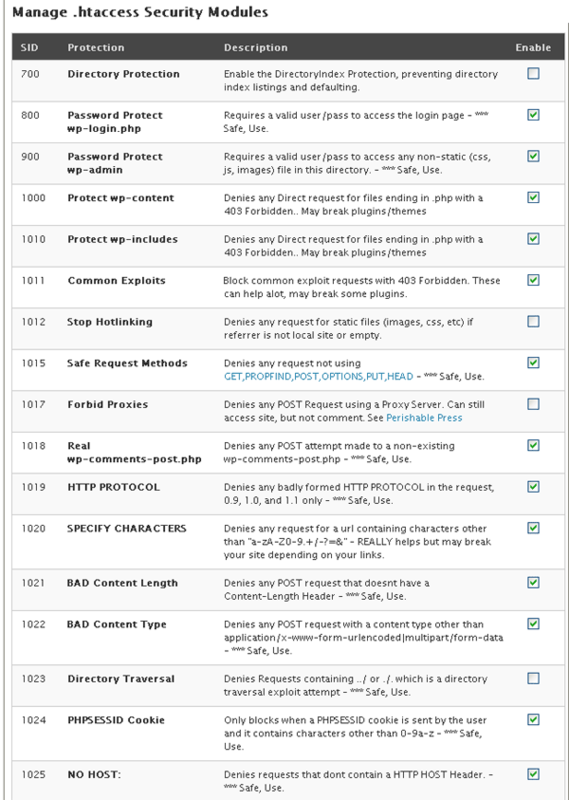 This allowed me to find every directive allowed in .htaccess files for each particular version. YES! Completely hands-off updates, so that updating the plugin keeps all your settings. making each SID module have its own configuration and options (like protecting individual files, individual request, and custom exploit strings). And this time I am developing the plugin using a plethora of wordpress installations and configurations, to make sure that it will work regardless of a custom siteurl, blogid, etc.. Release will come before 2009.. I have some vacations to take and business to finish first.